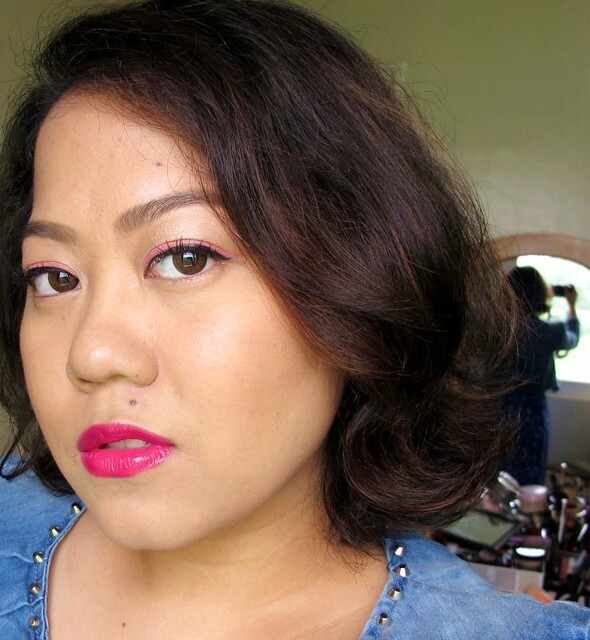 Hot pink lip colour: Three ways to wear it! 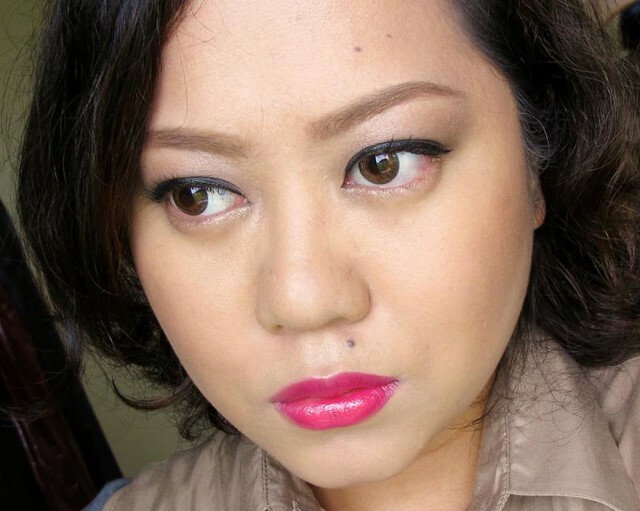 Today I thought of doing three looks you can wear with a hot pink lip color. I was inspired by the Shiseido Rouge Lacquer in Disco since it's easily one of the brightest pinks I have! It rather fits my skin color well, and like I said in my review, it makes my teeth look whiter than normal. Not complaining. At least now I know what to pick up if I want to take a break from the usual teeth-whitening reds. The looks range from simple, to fun, to dramatic. Enjoy! Look #1: Sweet and simple. 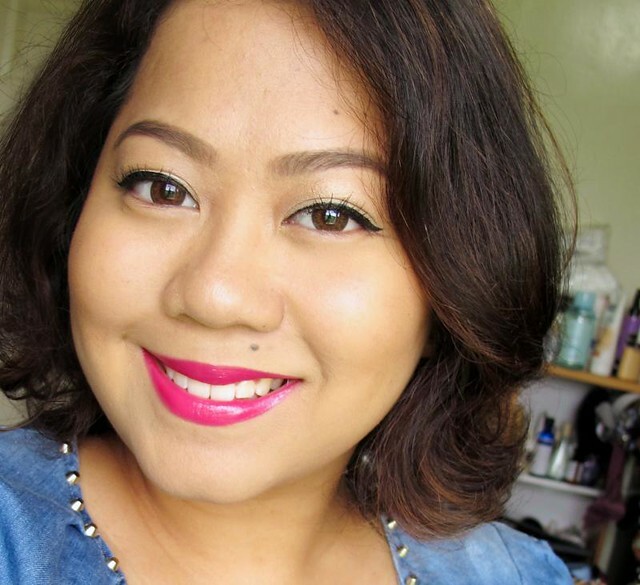 This is my default look for wearing bright pink lipstick! It's easy and quick, some of the reasons I would choose a bright lip color for the day. If I don't have much time to apply makeup then you can bet I'm in a hot pink lip and classic eyes. This look can be worn during the daytime or at night. It's versatile so just have fun with it. Details: bold eyebrows to even out the face, shimmery beige cream eyeshadow, thin cat eyes using a liquid liner, then big lashes. Skipped the blush here, since the hot pink should be the centerpiece. Look #2: Fun and flirty! 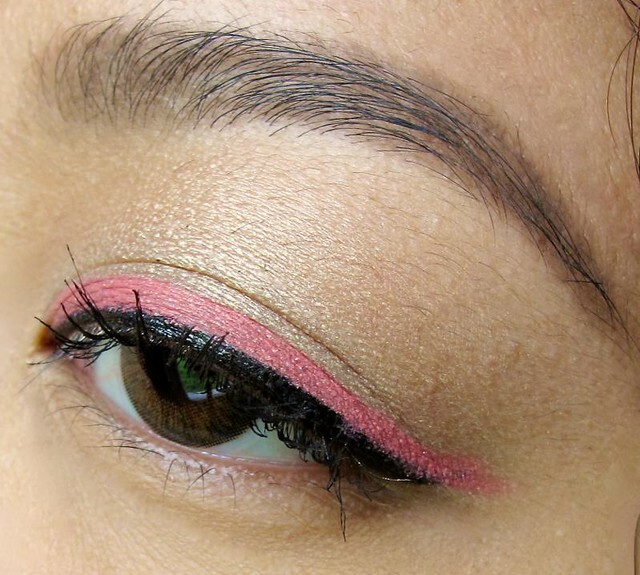 Colorful eyeliners are seriously underrated. If you have a bright lip going on, coloful eyeshadow on your lids may be a little too much (depends). 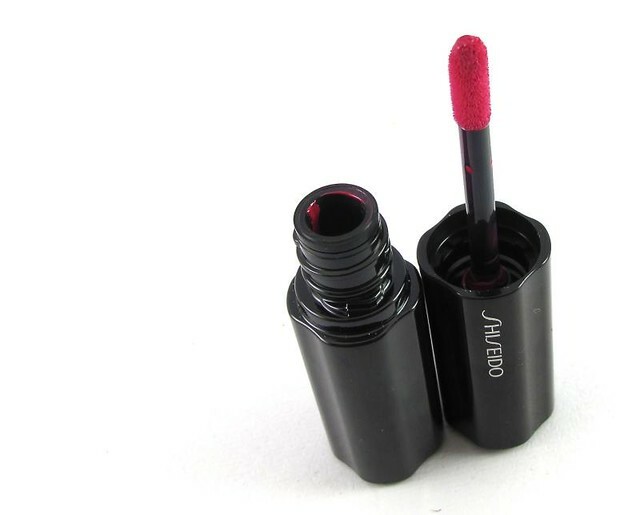 But if you want to look more bubbly and cheerful, a colored line on the lids may be just the thing you need! Details: Same as the first look, only I added a pink eyeliner. So Korean-cute! You can pop in other eyeliner colors like blue, purple, and green according to your mood or outfit. A bit of blush or highlight along the cheekbones will complement this pop look. Look #3: Drama is my middle name. This is something I would wear to a party in some glamorous club or hotel. I'd pair it with a black dress and/or sequins - anything that would grab the right amount of attention. So there you go. What's your favorite way to wear loud lips?